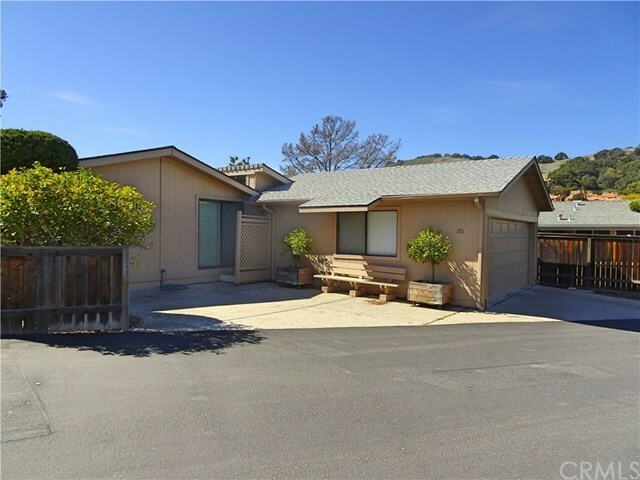 Nestled in the hills behind the gates of the San Luis Bay Estates, and located within the 55+ community of Indian Hills sporting the best views in the park. Spacious mobile home with 3 bedrooms 2 baths and a 2 car detached garage. Nearly 2200 sq ft of living space including the living room with vaulted ceilings, a fireplace and a wall of windows bringing in lots of light and views of the surrounding hills. The kitchen also offers great views and opens to the dining room with built-in buffet. The master suite features a sitting area and luxurious master bath with spa tub and separate shower enclosure. The private setting of the spacious deck offers a great venue for entertaining or just for relaxing and enjoying nature. Indian Hills HOA includes access to the pool, spa, and clubhouse.